In a previous post, I talked about the steps needed to start making your first CV. By the end of this post, I hope that you’ll have a CV that sheds the best light on your achievements. We talked about creating an outline and preparing the layout, not would be adding the actual content. It goes without saying that you should not include any false information in your CV. You should also avoid over-inflating things as that will make you look fake and untrustworthy. Once you have your layout ready, you should be able to start filling in the content. I like to re-type the information from the outline rather than copying and pasting. It’s a tip I learned from bullet journaling (http://bulletjournal.com). When you re-write something, it forces you to rethink it so it gives you a chance to revise the wording and also to reconsider if that point is worth it or not. The first part of the CV would be “The Header”. This where your name (make it big and clear), contact information (address, phone number (put the country code), email (make sure you have a professional looking email) would go. There is no need to type Curriculum Vitae in this section as it would be obvious what the document is by looking at it and why do you want to put that in focus instead of your name? The next section is the “Personal Statement”. This is usually a brief paragraph outlining your profile and why you are submitting this CV. It is not needed if you are submitting your CV for a specific position or as part of a package that includes a cover letter and a statement of purpose. The following sections can be ordered in different ways. It’s important to keep your strong points in higher ranks so that they are more obvious. For a new grad without much experience, “Education” would be next. This is started in reverse-chronological order (newest first). You can include your GPA here and any honors or awards you received or you can have those in a separate section. Experience can be sub-classified into multiple sections (clinical, research, teaching, extracurricular…etc). They do not need to be in a specific order and they do not need to be subsequent (e.g. You can put research experience and then follow it with publications.). Provided routine and emergency dental treatment to patients attending the restorative dentistry and endodontics clinics. In the “Research Experience” section, mention the projects you have worked on. Include the title of the project, the PI and if you are applying to a research/academic position, you might want to include some info about your role in the project (e.g. assisted in subject recruitment, data collection and analysis…etc). It might be tempting to include every single project you worked on but you do want to be careful with this. A) Be prepared to be asked to elaborate in interviews so you need to know the project really well. B) If you are applying to a specific speciality (ortho for example) and your projects don’t have a defined pattern (some endo, some perio, some pros), this might raise some questions about how serious you are about your chosen speciality. If you have any publications, add them in their own section starting with the least recent. It looks more professional if you put the citation but make sure your format is consistent (citation managers can do that for you. You should be using one if you do any academic reading/writing but if you don’t you can use http://www.citationmachine.net). You can also use the citation format for your unpublished manuscripts and add a note that they are submitted for publication (if they are). One last point about publications and presentations, if you have some that are in a different speciality than the one you are applying to, you’ll probably be asked about it in the interview so make sure you have a valid answer ready. The following sections are optional. Add them if you feel they will add strength to your CV. If you feel you don’t have something to include in them, don’t feel that you have to just to fill the space. Some people like to include a section for “Licenses and Certifications”. If all you have to add here is the SCFHS license and BLS, I honestly don’t see a need as everyone else would also have them so it’ll be a bit redundant. If you are licensed to work in another country or if you have more advanced certifications like ATLS if you are interested in surgery or orthodontic clear aligners if you are interested in ortho…etc, then those are worth adding. The certificates of attendance from conferences and workshops do not really qualify as certifications and should not be included here. You can add a section for “Activities” which can include professional educational activities, research activities, extracurricular activities, volunteering…etc. You can also add professional memberships here if you want. In regards to CE, I personally do not believe that you need to list every single lecture you attended. It gets long and A) no one will really read that list, B) if they don’t have a pattern or theme, it can make you look scattered. If you feel like you want to include them, it’s better to focus on the major ones, the hands-on courses and those related to your chosen speciality. As for other activities/projects, if you have something that makes you stand out from the rest, write some details about it. If you were a class leader, member of student council, volunteered in a remote town, were part of a research team (if you didn’t include a section for research experience)…etc, add a couple of points about your role. e.g. : under a community project, you can type: Roles included procuring sponsors, designing educational materials and oral hygiene instructions booth. I know many CV guides also includes sections for “Skills” and “Hobbies” but I generally don’t believe these need to be included unless they will really add something. The way I see it, “Skills” that would make you a good dentist are skills that should apply to all of us. To be good dentists, we all need to show independence, leadership qualities, problem solving abilities, the ability to collaborate and communicate…etc. As for “Hobbies”, these can be a bit tricky. Whatever you add here, you’ll probably be asked about in an interview. You want to make sure that you can provide an interesting answer that makes you memorable. For example if you like photography and you have photographed some events or participated in an exhibit, then sure, you can add it, if you want, but putting in cliches like sports, reading and traveling can actually have an unfavorable effect. Some people like to include a “References” section at the end of the CV. I, personally, do not believe that it should be added because some referees do not prefer to have their contact info widely distributed and another thing is what if you submit your CV and then when time comes for consideration, you have someone else in mind to be your referee? What I suggest doing is having a separate sheet that has the same theme as your CV with your chosen referees and you can submit that page when it is requested from you. Mabrook, now you have your first CV but before you send it out, you should put it through some tests first. I like to print it and see how it looks on paper. Sometimes you’d be working on a computer and everything looks great but then once printed, you get surprised by how big or small the font is or how your margins get cut off. If you have lots of color or a background, I would also photocopy it and see how it looks (that might be how the person who is in charge of selection would see it and if he/she can’t read it, they’ll probably just put it to the side and move on to the next one). Another test is by giving it to people who can critique it. We all have loved ones who would tell us that whatever we make is perfect and although these people are nice, they are not the ones you should ask. Find someone who can be honest with you. It’s better to detect a problem and fix it rather than send it out thinking everything is great when it isn’t. When you’re all done and ready to go, it’s time to get your CV ready for sending. PDF is the best format to use. That way everything stays the way you meant for it to be. 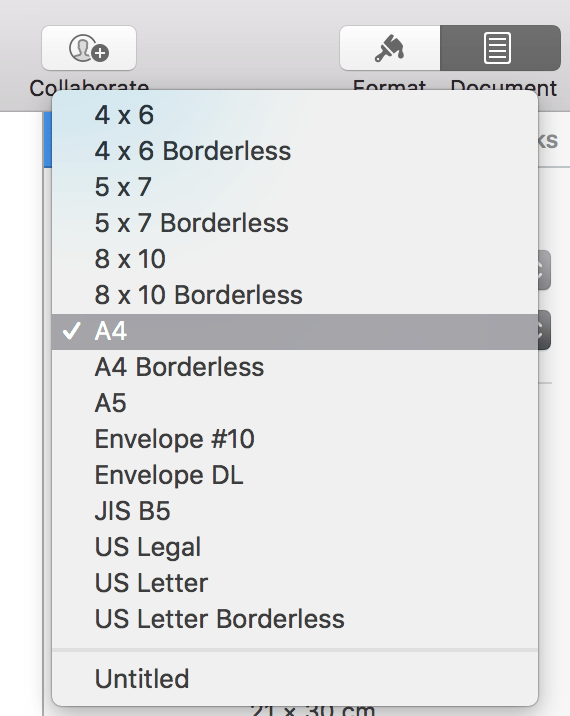 If you are sending it to the US, save it in “US letter” size. The reason for that is if they try to print it and it’s in A4 size, the text might be cut off as the letter size is a bit shorter and another thing is that some printers will not print if the size is different than the paper and trust me, not all people will try to figure it out so your CV may not be included. When you name the PDF file, include your name and CV. Don’t name it “my_CV”, “CV_1”, “untitled3”…etc. Imagine someone who is receiving many applications and when they download them, they might put them in the same folder. You want them to be able to find yours quickly. It goes without saying that the CV should be updated regularly. As you gain more things to add, you may see that some things are no longer important and you may decide to exclude them.